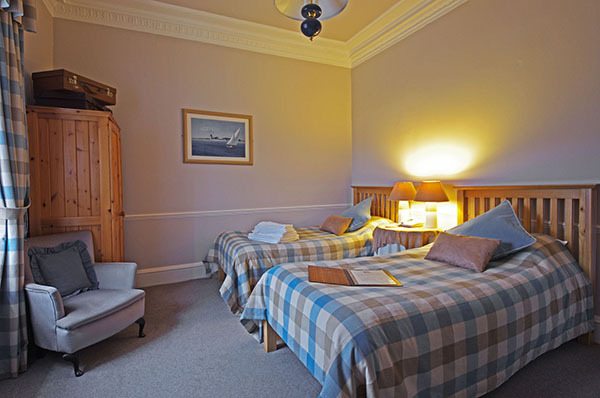 There are 12 individually styled en suite guest bedrooms 8 double rooms, 3 twin and 1 single. If you have specific requirements, eg a ground floor room, please don’t hesitate to contact us. 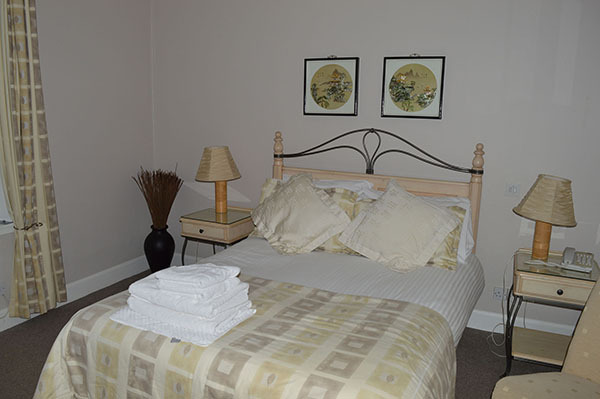 Roll-away beds/cots are available for under 12s sharing their parents’ room. You are welcome to bring your dog but we ask that you don’t leave him/her alone in your room or allow him/her to climb on furniture. • Hairdriers and complimentary toiletries. Per couple per night. Based on a minimum of 2 nights and 2 people sharing a room. 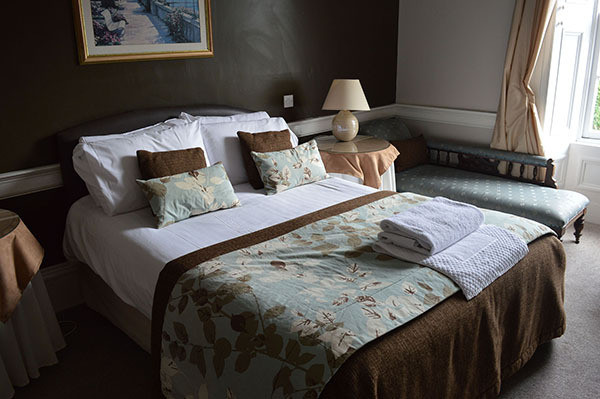 Promotions such as weekend/midweek breaks, 3 nights for 2 and so on will be displayed on our website and Facebook page. • There is no charge for dogs. • Please note that all our rooms are non-smoking.